Your eyebrows are arguably one of your most important facial features, giving your face character and expression, whilst framing and accentuating your eyes. â€‹Sonja at Seka's Beauty Case @101 Darley Beauty Collective, @1O1 Darley Beauty Collective in Mona Vale will ensure you receive perfect natural looking results, that will have people wondering exactly how it is you always have such perfect eyebrows! Eyebrows are the most defining feature of the face. They frame your face, emphasize your eyes, and accentuate your expression. Brows are pivotal in giving symmetry to the face. With Microbladding you can toss those brow pencils and powders away, smudge free eyebrows. If your brows are too light in colour, if you have a gap in your brows due to a scar or even if your brows are non existent with the help of mircoblading you won’t have to worry about smudging brows or reapplying throughout your day. This procedure is not tattooing it is mircobladding, microshading and ombre. All procedures are performed by Sonja Spadina 0412 121 548 (Monday-Sunday) in our clinic which is located in Mona Vale, increasing your personal comfort and privacy. We are open 7 days and late evenings. The procedure fills in sparse eyebrows, reshapes poorly arched or uneven brows, and gives entirely new permanent eyebrows to anyone who has suffered eyebrow loss (from alopecia, burns, electrolysis). Furthermore, the procedure can drastically rejuvenate your appearance. Microblading (Hair stroke) eyebrows otherwise known as the hair stroke technique, is a technique we use for creating the most natural brows possible. The hair stroke technique mimics your own eyebrow hairs thus creating a feathering effect. This innovative technique is far more natural looking than a solid fill. Pigment is deposited on the upper dermal layer by breaking the surface of the skin. The proper placement of eyebrows will open up your eyes and can actually change the appearance of the shape of your face. When you are working on eyebrows that don’t have a hairline, the eyebrows can be placed anywhere on the face, making this a much more advanced eyebrow procedure. It is important that the eyebrows be placed properly in terms of symmetry and that they are done with a three-dimensional hair stroke technique for them to appear natural. Microblading Mona Vale. Before you begin your treatment it will start with a discussion of the shape and color of your preference. The unique bone structure and contours of your face will play a significant part in the look and shape of your brows. Sheila believes that no two set of brows are alike and the best brows come from following what is already naturally there. Even if you don’t have much hair to follow, your bone structure and eyes will tell where your brows should be. After you have approved the shape of your choice, color is carefully selected to match your natural skin tone and hair color. 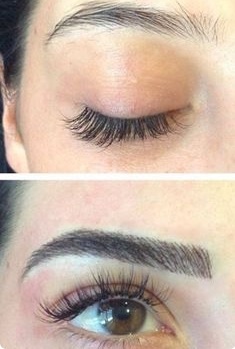 If you’re someone who prefers a fuller brow but still wants that soft texture, you may want to consider the shading (powdered) technique. The powder technique mimics the appearance of conventional brow makeup whether it be a brow pencil or brow shadow. We can also combine both techniques,which is very popular Microblading & Shading (powdered) eyebrows also know as ombé eyebrows (celebrity eyebrows), the eyebrows that most of Hollywood wear. The result of either choice is beautiful, clean, soft & natural looking symmetrical eyebrows that are perfectly placed and colored. Semi-Permanent beauty! 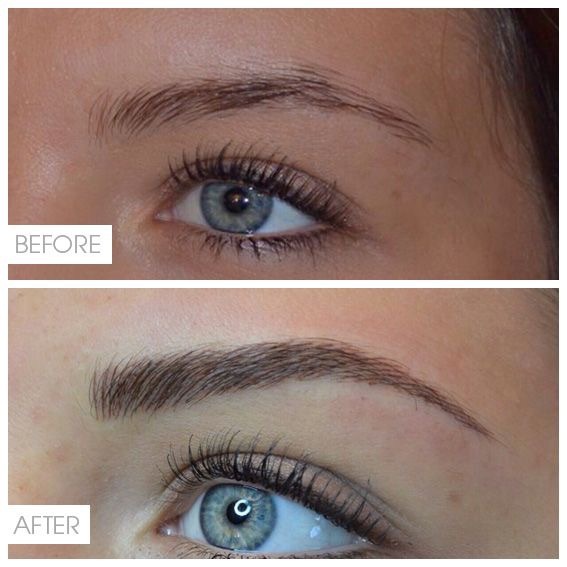 Microblading Northen Beaches. * Thin brows caused by years of over plucking. * Trouble applying conventional makeup. We can also fill in a few gaps in the your eyebrows for prices please call Sonja 0412 121 548, we strongly recommended to book in a consultation to discuss styles and eyebrow tidy and tint.